What’s the first image that comes to mind when you think of a trucker? Is it a strong man? Or is it Jerry Reed being trailed by a mustached driver in a Trans Am? The industry is changing and the new face of the average driver is increasingly becoming female. 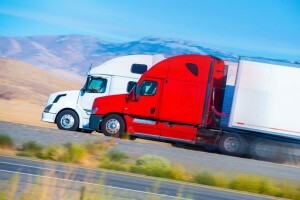 Trucking jobs are plentiful right now and companies are exploring increasing certain demographics to fill positions. There are around 30,000 fewer drivers than what is needed currently. Within the next decade, that number is expected to go up to 200,000. Many of the truckers from the Baby Boomer generation are calling it quits and retiring, which means trucking companies have to dig deep to get more drivers to haul cargo. It stands to reason that trucking companies are looking to women to fill the gap, especially since a majority of drivers have always been men. Women fill only five percent of trucking jobs. Driver blogs by women are a testament to a good career on the road. One such blogger talks about the “magic of just being” on the road with the peaceful oneness with nature, and that being in a rig is as spiritually satisfying as being on a Harley. The industry is very receptive to having females join the rank of drivers already on the road. Industry leaders are excited about the growing numbers of female drivers who are taking to the road. One industry expert said that if the number of women in trucking jobs would double, it would take care of the shortage companies are currently dealing with. That’s not going to happen overnight and there are still 200,000 trucking jobs that need to be filled across the country. One perception that has to be changed is that all drivers are out on the road for weeks at a time and rarely see their families. There are trucking jobs available that offer only short routes that don’t require overnight stays. Spirit Miller Driveaway Services has routes that keep drivers close to home so they don’t have to have long periods of time away from family. For more information about the driving jobs we have available, contact us today.